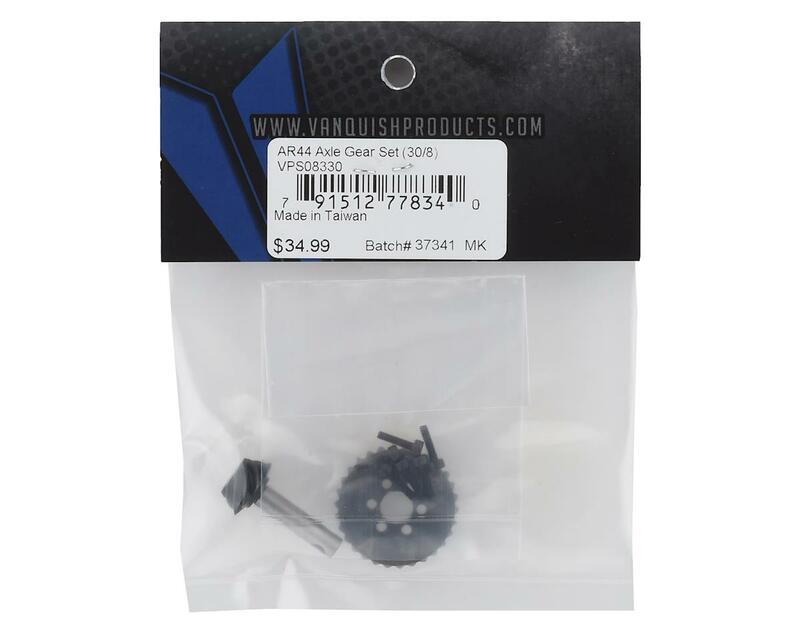 The Vanquish Axial AR44 Heavy Duty Axle Gear Set, is a precision machined, hardened steel gear set for AR44 and VP Currie SCX10 II axles. The 30/8 tooth count duplicates the stock SCX10 II gear ratio, and 12.9 grade hardened steel M2 hardware is included to mount the ring gear to the spool. 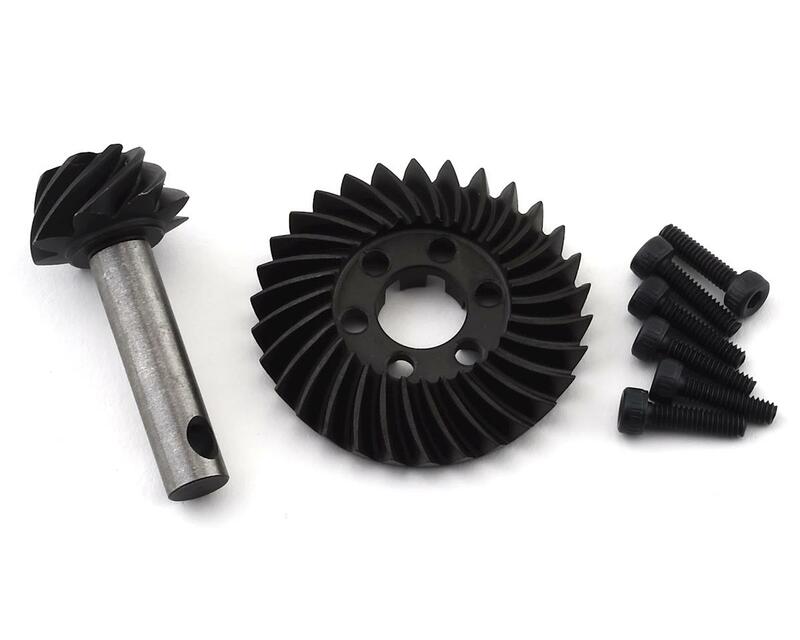 Package includes one 30 tooth ring gear, and one 8 tooth pinion.